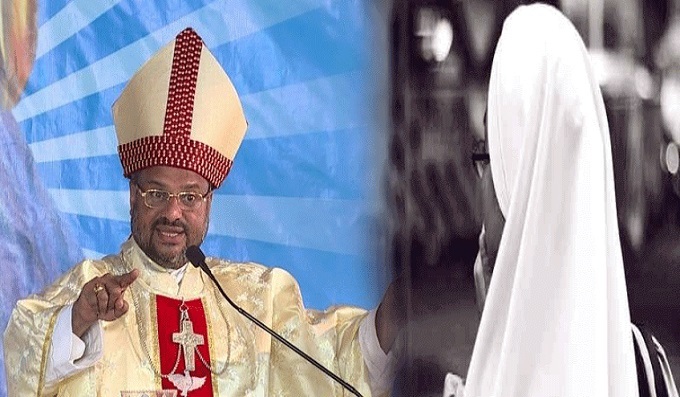 KOCHI: In the sexual abuse complaint of a nun against Jalandhar bishop Franco Mullakkal, probe team official DySP K Subhash informed that a notice will be served to the bishop asking him to appear before the probe team. It is reported that the notice will be served on Thursday. He will be asked to appear before the officials within a week. The DySP was addressing the media after the meeting held to review the investigation under Kochi range IG Vijay Sakare. The meeting was summoned to take crucial decision on the case including the arrest of the bishop. The probe team asserted that they got strong evidences against the bishop. It is learned that the bishop will be interrogated at Ettumanoor. According to the probe team, they have resolved the discrepancies between the statements of bishop and the nun in the second phase of the investigation. The probe team also observed that the bishop has given false statements during the interrogation. Minister E P Jayarajan has rejected allegations of attempts to sabotage the case and asserted that the probe was proceeding in the "right direction".